Welcome Tammy! Good luck in your new job Stacy! Today we say goodbye to our secretary Stacy Cornelius and hello to our new secretary Tammy Eutsler. Stacy leaves us to take up a fantastic new post with the City of Veneta. 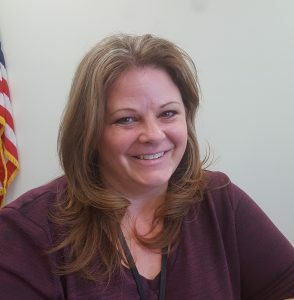 Her new position will keep her very active in the Fern Ridge community including supervising the City of Veneta Pool. Tammy comes to us from an IA position at FRMS. Previous to that, she was a secretary at Elmira Elementary. Thank you Stacy for all of your hard work and dedication. We will miss your contagious laughter and enthusiasm. Congratulations and welcome to Tammy. We look forward to having you in the office.